Zazzle has made available today, a new line of products ready to be customized and bought, through their print-on demand platform: Doodle Speakers. These speakers by OrigAudio have a fabric face cover, that can be personalized with your own design. Powered by USB or 2 AAA batteries, it connects using a 3.5 mm headphone jack, which makes it compatible to most standard music devices. 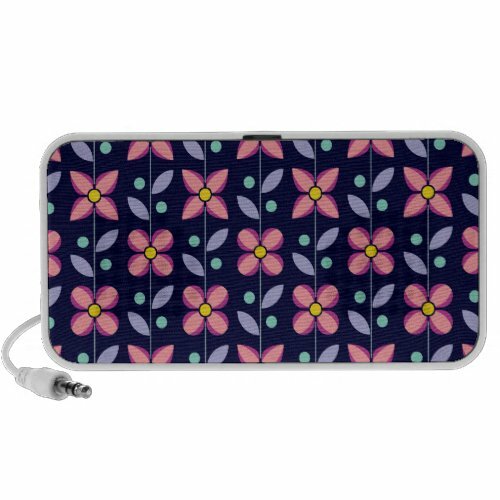 So, it´s a very nice addition to Zazzle´s range of products, and if you´re looking for a portable speaker to use with your phone, MP3player or even your laptop, this can certainly be an option to consider. To illustrate this post, I featured a couple of designs, I published so far ( a bit of self-promotion doesn´t hurt anyone), but there´s already thousands of different designs to choose from, or you can always take the time to create your own personalized speaker, for you, or as a great gift for one of your friends and family. To see all designs already available on Zazzle´s marketplace, just click on the images or use the links below them. Today, I´m featuring one of this week´s releases on Threadless, Raindeer by Chris Dixon. I´m quite familiar with his t-shirt designs, mostly through Woot derbys, where he is one of the most printed artists. But, this is his first print on Threadless, so I tought it was worth writing a post about. The concept for this design is nothing spectacular, just a simple play on words, but it´s the way it´s executed that makes this a cool tee. The colors work well together and against the t-shirt color, specially on the jade, showcased above. The texturing is just masterfully done, adding a lot of depth and volume to the illustration without the need of any kind of contour lines, and the flow of the rain drops provide some movement and rhythm creating an elegant and subtle image, making this a very wearable t-shirt. To view this design in greater detail, just click on the image, and if you want to know a little more about Chris tee designs, check out his t-shirt portfolio at http://chrisdixonmedia.com. It could use a little updating, but still worth having a look. On another note, and since we´re focusing on Threadless, time for a bit of shameless self promotion. They teamed up with Griffin for an iPhone 4 Case design challenge, and I´ve submited a couple of designs. So, if you don´t mind taking the time to have a look, and maybe give me back some feedback, it would be greatly appreciated. The entries are here, and here. Let´s start by saying that I think that platypus are one of the most amazing creatures that nature has to offer. What else could I think about an animal that is a mixture of a duck, a beaver and an otter, that lays eggs although it´s a mammal, and even manages to have poisonous stingers… Add to that the portuguese word for platypus – ornitorrinco – such a great word by itself, and it´s obvious that a t-shirt design with a platypus on it, is already half way the coolness scale to me. Now, mix that with a nice concept, and some fun characters, and you´ve got a cool tee like laFraise’s latest release, Fusion ya! by pandaluna. So, if you also think that platypus are awesome, don´t forget to click on the image above, to see this design in greater detail. Threadless announced this week the winners of their “Threadless Loves 10-10-10” challenge, with each of the three winners taking home a prize of $10,000. One for a previously printed designer, one unprinted but submitted, and one for a first time submitter. You can check the full list of the winning designs here. So, today, I’m featuring one of those designs, Spacebar by Tomas de Santis, that I planed to write about, when it was first printed, but never got around to do it. I can´t say if it´s a fair winner of the prize, since I didn´t follow this competition closely, but for me this is a great example of a perfect match between a good concept and the right execution. The style is clean and simple, letting the idea behind the design shine through, creating a powerful image, easy to understand, despite the minimal look. To view this design in greater detail, just click on the image. If you´re familiar with shirt.woot! and their weekly derbys, you´ll most likely saw the work of Edgar R. McHerly. He often submit his t-shirt designs there, although lately on a less frequent basis. He is quite popular for his strange, and somehow demented style, at least among a lot of other artists and designers. Unfortunately for him, and for the people who are fans of his work, Woot derbys are decided based only on votes, and so, for someone with such a personal and out of ordinary style, the chances of seeing his designs win the derby, and printed by Woot, are somewhat slim. But now, he has his own Big Cartel store, as a part of his site, The Invisible Hair Suit, where you can buy his artwork on t-shirts, prints or handmade wallets. Although I can´t consider myself as one of Edgar´s biggest fans, I truly recommend having a look around the shop, and also take some time to see his comics and drawings. Well, once again I´ve neglected this blog quite a bit, without any new posts for almost 2 months now. So, I hope everyone had a great holiday season and a wonderful start on this new year, that looks to be another hard one, for most of us. But, since being a pessimist, doesn´t really solve anything, let´s focus on some cool stuff to brighten our day. For my first post this year, I decided to feature the last release from laFraise, Pacmoon by georgeslemercenaire. As the name implies, this design references one the most famous video games of all times, Pacman. And, as is easy to understand, there are countless variations of t-shirt designs related to this theme. So, is always nice to see a design, that can still bring a diference and originality to such an overused subject. Although the reference to Pacman is quite clear, not only on the title, but on the design itself, it would still be a cool tee regardless of that. I particularly like the way the moon is rendered with a great use of texturing to bring volume and depth to the illustration. To view this design in greater detail, just click on the image, and, while you´re at it, take some time to read an interview with the author of this design, on laFraise´s blog. Check it out, here. Zazzle just recently released a new line of products available to be customized through their site – iPhone and iPad cases from Speck. You could already buy them from the LABz site, in limited editions, but now everyone is free to create their own designs. 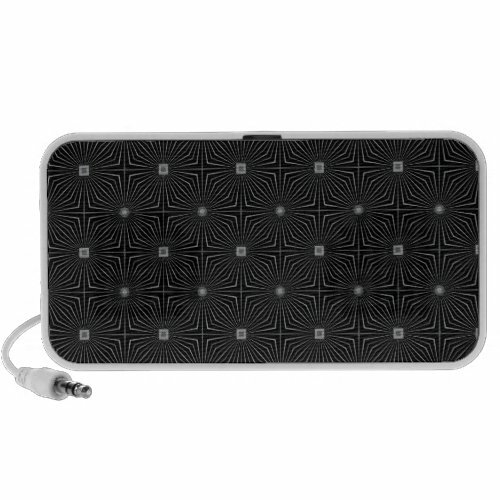 It´s a really cool addition to Zazzle´s product range, and considering this time of year, another item to be considered on your Christmas shopping list. Above I featured two of the designs I published so far ( a bit of self-promotion doesn´t hurt anyone), but there´s already thousands of different designs to choose from, or you can always take the time of creating your own personalized case, for you, or as a great gift for one of your friends and family. To see all designs already available on Zazzle´s marketplace, just click on the images or use the links below them. 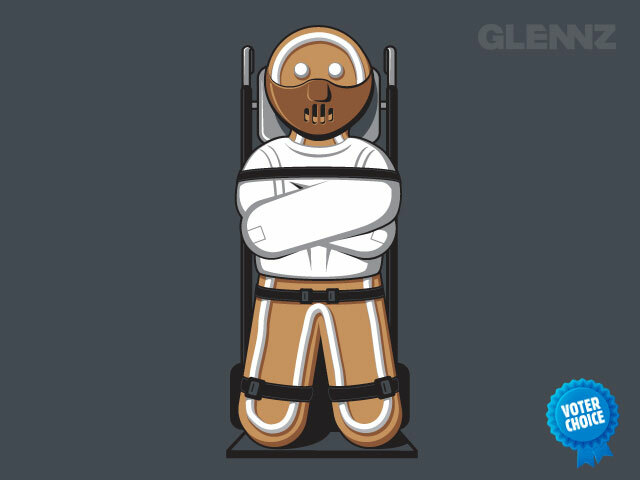 So, Christmas is just around the corner, and Design by Hümans, has just announced an Holyday Sale with all their tees at $12, which is a great discount from their usual price. If you need some more t-shirts to fill your wardrobe, or just looking for a cool gift for someone without having to empty your wallet, this can be a good opportunity. This sale will last for about three weeks, until December 5, which means that, on the other hand, there will be no new prints until then. To have a look of all the available tees on DBH shop, just click on the image above, or use the link on the sidebar. But, this sale, is not the only reason for this post. In the end of October, DBH announced a new Art Director, Craig Watkins aka Wotto. He´s a big name in t-shirt design, so he certainly has the knowledge and skills required for this task. And from what I could witness so far, it has been a great decision. They have a new look on their newsletter with a weekly contest and he´s been quite active both in the forum and on design submissions comments. On a site like Design by Humans, the sense of community is quite important, and this social part is crucial to keep people willing to purchase and promote their products. Besides that, knowing Wotto´s style, I guess is legit to expect some diversity in what will be printed in the near future. Although is great for DBH to have is own identity in what they print, it´s also vital to keep taking risks and stepping out of their comfort zone to avoid stagnation. So, I´m really looking forward to see what will happen with Design by Hümans on the next months, and hope that this positive beginning of their new Art Director, is still just a fraction of all the good things to come. I´ve written before on this blog about the work of Jared Nickerson aka J3Concepts, when I featured his Artsprojeckt store. Now he has a collection of wall murals and wallpapers available at IMGS Custom Wallcoverings, with some of his designs, so I tought it was the right time to feature his work again. Jared´s designs with his bold and distinctive style, gain a lot on this bigger scale, and they can be a great way to give a unique look and feeling to a room. Click on the images above to see the entire collection. 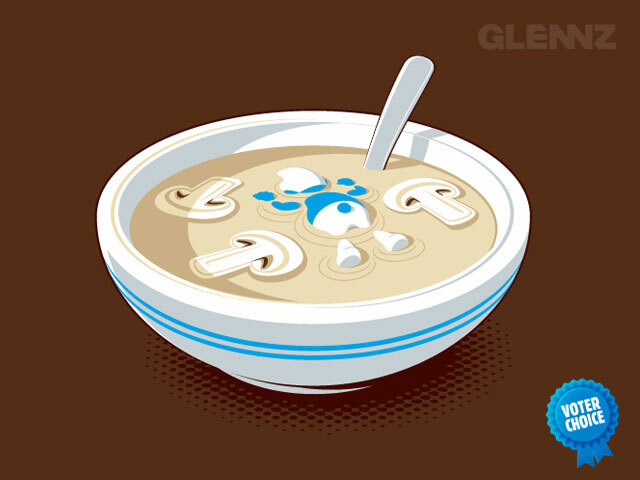 If you´re familiar with t-shirt design, you probably already heard about graphic designer and illustrator based in Auckland, New Zealand, Glenn Jones, AKA Glennz. Last Friday I received a couple of t-shirts I´d ordered from his store Glennz Tees, with the designs featured above. I´m, without a doubt, a fan of his work, with that distinct, clean and graphical style, and the most amazing concepts, full of parody and making a great use of pop culture references. So, I tought it was the perfect time to feature this store on my blog. About the t-shirts, they look great, as expected, the print quality is quite good, and the blanks used are from American Apparel. Also worth noticing was the speed of delivery. I ordered on a weekend, and on Monday I was already receiving the shipping confirmation, wich lead to less than two weeks from ordering, to receiving them here in Portugal, and this using standard shipping. I ordered the tees after winning a voucher code on Twitter, so be sure to follow him also, for your chance to win and have yet another reason to get some of his designs. There´s also a sale going on this week, with the t-shirt prices coming down from the usual $19.95, to $13.95. Besides t-shirts you can find at Glennz Tees, mousepads, calendars and laptop skins, or even download some great free wallpapers for your iPhone.